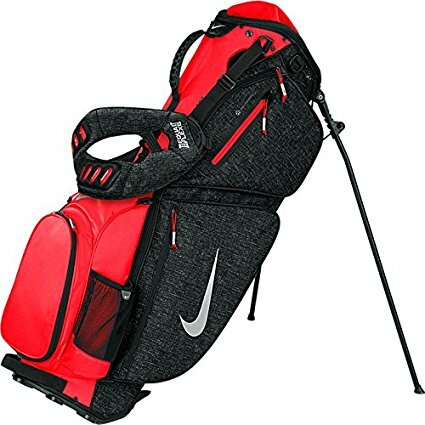 Best Golf Bags 2019 - Which One To Pick?? 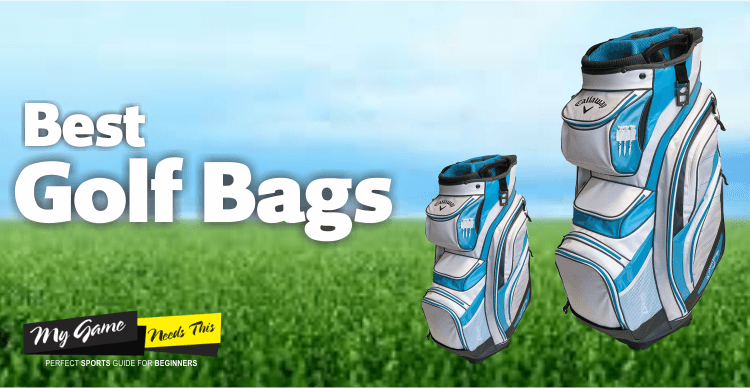 Best Of Golf Bags 2019 – Cut To Your Requirements! Comfort, convenience, storage capacity and quality are the obvious features while picking up the Best Golf Bag, however choosing the right type of a golf bag is something most beginners miss very often. Golf bags can also be differentiated on an individual’s needs, frequency of play, travel and storage capacity. If you are an occasional golfer, investing in a cart bag hardly makes sense just like a professional golfer who wouldn’t find a Sunday golf Bag or a Pencil golf bag. You got to be spending as much as you need for a golf bag. The best rated golf bags are those that complement your game, which is why it is important to understand the different type of golf bags available in the market. Here, you find the best selling golf bags in each of the categories as per the needs of a golfer. A leading brands in golfing equipment and one of the proven and most trusted brand in Golfing industry. 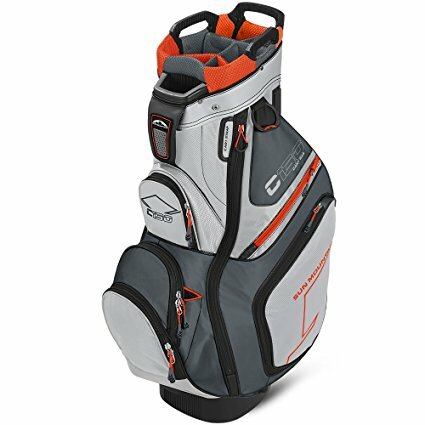 When it comes to the Callaway Org 14 Golf Cart Bag, its certainly the best golf cart bag to chose for anybody. No matter if you are a novice, amateur or a professional, this golf bag is among the top choices and a long term investment to keep and move your golf stuff around. If you wanna make a quick choice, no need to get into details below, simply chose this golf bag that will be an ideal choice given its popularity, feedback and overall experience. The Sun Mountain 2016 C-130 Cart Bag is one of the company’s Top-selling golf bags. Sun Mountain has a number of other products which are currently on the market, which helps to solidify them as one of the best companies for golf carrying bags. This C-130 Cart bag has been specifically designed to be used in tandem with a good golf push cart as it features front facing pockets which gives easier and a lot more convenient access to all your equipment. The bag doesn’t just have large multi purpose pockets but it also has 2 cloth and 2 other smaller pockets which are ideal for storing your valuables in. Compatible with most golf carts. Forward facing Pockets for easy access. There are some large main pockets fitted into the golf bag, aside from these there are several other pockets with one which is specifically designed for your rangefinder. It comes with two towel loops which mean that you can hang your face towel for those hot days and your club head cleaning towel also. Just make sure that you don’t get the two mixed up! There is space for you to hold your umbrella which will mean that you are ready for whatever the weather has to throw at you. Sun Mountain has put a lot of thought into the material they have used, a mix of leather and special sporting material. This means that it is extremely durable and will definitely withstand the test of time. With 2 pockets being velour lined which will mean that you can store your valuables especially those that scratch easily. The C-130 Cart Bag has been designed to be used with a cart as the pockets are at the front which gives quick and easy access to all your equipment whilst you’re out on the course. The overall aesthetics of the bag are pleasing and it definitely isn’t off putting. You can see that Sun Mountain has put thought into the pocket placements, with the stuff that you will require more regular at the top and the less frequently used equipment is stored at the bottom. Not to mention that they provide a matching rain hood which will help to keep your gear safe in any weather. The C-130 Cart Bag is designed for those who have a cart, but it also has a good single strap golf bag which can be attached if not in use with a cart. A strap pouch is provided for when the strap isn’t being used. When it comes to attaching the bag to the cart then there is a strap pass-through that will allow for the bag to be securely attached to the cart without causing problems with accessing all the pockets. 14 full-length dividers with a putter slot, to keep your clubs from scratching & tangling. 9 Forward Facing Pockets for beverage holder, 2 velour lined pockets with 1 being for a rangefinder. Comfortably lightweight at just 6.7 pounds. Umbrella holder for easy access, a matching rain hood & a single strap with a strap pouch included. The higher price tag may be off putting to some people. The dividers are made from fabric which means your clubs don’t stand up perfectly straight. The Sun Mountain C-130 Cart Bag may not have a huge amount of the fancier features found in advanced bags. But, with the features it does have you can see why it is one of the company’s best-selling golf bags. It may not be the cheapest bag on the market but for the features, it has it will certainly cost you less than others on the market. Callaway is one of the leading brands when it comes to golfing equipment and if you were to ask anyone on the golf course about them they would certainly be able to give them huge praises. When it comes to the Org 14 you can certainly see that they haven’t let themselves down. When you were of a younger age you may have found yourself wandering around your local golf shop hoping that one day you may be able to purchase your own Callaway bag. Velour lined pocket containing a key knob. Two full length branded pockets. A pocket to hold your golf balls. A thermally lined pocket which is ideal for carrying some kind of beverage or even food. A pocket specifically designed for a rangefinder. A rain gear pocket, which includes an umbrella sleeve also. 3 additional pockets to store your accessories. When it comes to storage in the Org 14 you can be sure that you won’t run short of pockets and places to store your valuables. The clue being in the name that the Org 14 has 14 full depth dividers which will help with organizing your clubs efficiently and protect them from denting/scratching each other. As well as the 14 dividers Callaway has also provided 12 additional pockets which have been strategically placed so that you won’t have a problem in accessing them. The Callaway Org 14 is known for being such a light weight golf bag. When weighed with nothing inside it, the total came to just under 5 pounds, which means that even the weakest of golf players will be able to handle carrying it once full around the course. It uses lightweight sports materials, this helps to ensure that it will not only withstand a number of difficult conditions, but it is also extremely lightweight. The Org 14 is aesthetically pleasing, it has been designed so that it can be used with a golf cart and provides a convenient strap for moving it on and off the cart easily. It has been developed using lightweight materials without compromising on the quality of material and since it is from the reputable Callaway you can rest assured that it will be extremely durable. Because the Callaway Org 14 has been designed for use with a cart, it is difficult to comment on the actual comfort whilst holding it. But Callaway has provided a strap which feels comfortable and certainly helps ease the stress of taking the bag on and off a cart. 14 full length dividing slots to store your clubs in effectively. High quality, the water resistant material making the bag extremely durable. 10 Pockets, with a featured water tight pocket to prevent your valuables from getting wet, a thermally lined pocket which can hold food or beverages, a velour-lined pocket to protect valuables from scratches. Designed to be used with most carts available on the market currently. Many people don’t like the price point, as this is one of the tops of the line cart bags available to purchase. The Callaway Org 14 could use a little more thought on its club organization section. There isn’t a place where you can hold your score card. The main question a lot of people are thinking, is this bag right for me? The answer to that comes down to whether or not you use a cart. This golfbag has everything covered, from the 14 dividers right up to being able to safely store your valuables without them getting wet. If you are looking for a bag with a high amount of storage with a great design then this is definitely the bag for you. With an eye-catching design and colors, as you can expect from most Callaway products. Callaway is one of the industry leaders in golf equipment and it is no surprise that they keep bringing out new golf bags. It is only one of few companies who actively produce a new golf bag each year. The hyper lite 5 golf stand bag is definitely one of their cool golf bags and is designed to make the life of a golfer on the green a lot easier. With a total of nine pockets with varying sizes to store your valuables within them, as well as your golf balls and scorecard. Aside from this, it is lightweight and comes with non-slip legs to give better stability. A large apparel pocket on the right-hand side of the bag. 7-way divider to organize your clubs. 9 Pockets included storing valuables and accessories. Mesh padded straps for comfort. Weight is less than 5 lbs. There are 9 pockets which are there to help store your valuables and golf equipment. 4 of these pockets are full size to store your accessories, a single water resistant pocket, a velour lined pocket for easily scratched valuables, a thermally lined pocket to hold your beverage or food and a full-length pocket for apparel. The bag’s material is 100% polyester, this helps to make sure that they bag is lightweight as well as being extremely durable. Not to mention the use of velour lining inside one of the pockets to help stop your easily scratched valuable from being damaged. There is also thermal lining used in the beverage/food pocket to help retain heat or coolness. The Callaway Hyper Lite 5 has a classy and sleek look will help you to look professional like going round the course. With a navy/charcoal color, the bag will help to look professional and with non-slip legs which will help to remain stable whilst on the green. The Hyper Lite 5 has a soft mesh hip pad which will help to provide comfort whilst walking around the course carrying your equipment around. Not to mention, the bag comes with thick padded straps which make this prevent damage to your shoulders and stopping the straps from digging into them also. Callaway has thought about the golfer in this bag, by providing a great number of pockets and a large amount of padding around places that could cause discomfort whilst carrying. Multiple Storage for your equipment. One Waterproof Velour lined Pocket to help protect valuables from wet weather conditions. Very Lightweight golf Bag, that is easy to carry. Aesthetically pleasing looks with colorful & an overall attractive design. The Hyper Lite 5 has high-quality straps for enhanced comfort while carrying. An easy lift handle for convenient handling & carrying. A bit on the costlier side but the quality & the comfort complements the price. The legs are not as strong and might not hold up against bad weather conditions. The Callaway Hyper Lite 5 is definitely one of the lightest golf bags you can find on the market currently. It is designed to be carried with ease and comfort whilst going several rounds on the golf course. There are a number of pockets which means that you will be able to store all your equipment and valuables effectively. 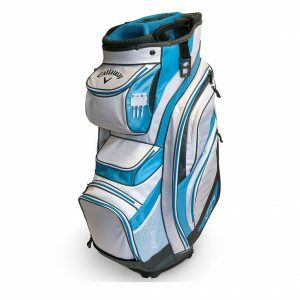 The overall aesthetics of the bag are great, and you can certainly see the time that has been put into this bag to make it perfect for any golfer. It may not be the most budget friendly bag available but the quality certainly makes up for the price. Nike is one of the most trusted brands worldwide. They have been manufacturing products for the sports niche for years and their golf equipment is high quality. You can always expect the best golf stand bag to be produced by Nike, with that in mind you can rest assure that the Nike air sports bag will be great. There are enough products in order to store all your valuables and equipment inside, with a fleece lined pocket which is waterproof, making it ideal to store electronic valuables. There is also another pocket which is insulated, this is to help keep your beverages cool. 9 Pockets With 4 Pockets Specifically Designed For Valuables, Beverages etc. 8 Way, 3 Full-Length Divider System. There is an 8-way divider to organize your clubs and with 3 full-length dividers, you can ensure that your long clubs will still fit into the bag. There are 9 fully functional pockets which all have different sizes and some are specifically designed for a certain purpose. 6 of the pockets are zippered, with others being insulated, water resistant, fleece lined and a quick access draws pocket. You can rest assured that you will be able to store all your equipment easily and effectively. The bag material is made to withstand the test of time, it is made to be extremely durable and because it’s from Nike you can be assured that it will be quality. The main colors it comes in is Black/White/Volt. The bag is made using the lightweight material to ensure that the bag isn’t already a weight before adding in your equipment. The style of this bag has been well thought out, the placement of the pockets help for easy access whilst the bag is stood upright. The bag comes with a rain hood which matches the same style and color of the bag, this will help to keep your gear waterproof through wet conditions. With a specially designed 8 way, 3 full-length dividers which will help to organize your clubs, as well as protecting them from scratching each other. This will also help you to locate your clubs easier whilst on the course, helping to save time during shots. With integrated storage such as an integrated GPS loop, glove holder ad pen sleeve, it has been designed to help you carry everything you need with you. Nike has included a fully padded back pack strap, this helps with taking the strain away from your shoulder. Many other bags don’t have these type of straps which often cause a big pain when digging into your shoulder. Multiple pockets & storage space for Golf clubs, balls, gadgets & other useful stuff. The Air sports bag is definitely a lightweight golf bag, making it convenient to carry & move around with. Thermally lined pocket, to keep your beverages cool even in hot temperatures. The folding legs work great to hold up the bag on an angle firmly, for even easier access to your clubs and equipment. Even once they are folded away, they don’t get in your way which is ideal. Made up of extremely durable & high-quality materials. The hip pad is slightly too thick, many golfers found that it was off putting whilst carrying the bag. The positive about the pad is that it won’t flatten out over time. 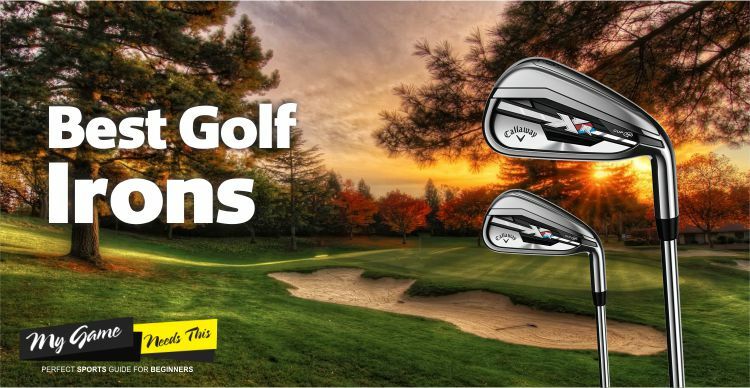 There isn’t a great number of dividers available in the bag, if you have a wide range of clubs then you may need to select the clubs you take with you. Nike is definitely one of the most recognized brands in the sporting industry, even in the golfing industry. That way you know that the product you purchase with their top bags brand on it will be a high-quality product and will be durable, as Nike put in the time to design their products. The Air Sports bag is lives up to its reputation and has a solid lightweight construction which will be great around the course. 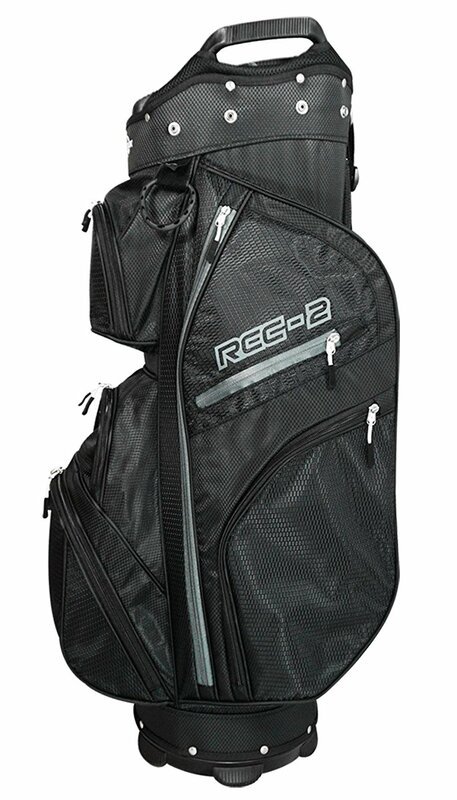 The RCC-2 Cart bag from Ray Cook, who is one of the best brands in the golfing industry, known for using high-quality materials and quality golf gear. First impressions of the RCC-1 golf bag is that it doesn’t fall short of any expectations from the famous Ray Cook brand. It is a ultra light golf bag, being known for being super effective and comparing it to the luxury priced golf bags it is inexpensive. Stylish Look Yet Hugely Practical Unlike Others On The Market. There are 8 large pockets which provide a good amount of storage for valuables and equipment. If you have a wide range of clubs then the RCC-2 is more than capable of storing them, with 14 full-length dividers which will help to make sure that your clubs remain in a great condition even whilst being carried around the course. There is even enough room to store and keep a beverage cool whilst walking around the green. Ray Cook is renowned for using high-quality materials in their products. With the use of a rubber grip handle to make lifting easier and more comfortable for the user. The material they have used in the bag does have a major drawback from being known to rip with wear and tear. Make sure that you check how much equipment you are wanting to store before making your purchase. The overall look of the RCC-2 is definitely of a high-quality product. With the availability to choose different matching colors, you can make sure that you choose the bag style which best suits you and matches your equipment. With a matching rain, hood included helping with protecting your equipment in wet weather conditions. The positioning of the pockets is ideal and Ray Cook has made sure that everything is accessible from any point. Making sure that your bag is comfortable to use is definitely a big factor and the RCC-1 bag does this by having a rubber grip handle. This makes it easier to handle when moving it from the cart to the cart to be able to push around the green. This walking golf bag in terms of the price, but without compromising on quality. It is one of the best-priced bags for the high-quality materials used. The rubber grip handles used on this bag helps to make it easier to carry and lift around. There are a number of options available in terms of storage and it will help to keep your clubs safe and very well organized. No need to carry around poles to prop up the bag as it has folded away poles. There are 8 large pockets which mean there is plenty of storage space. Many people have said that they don’t like the generic design and think it could do with a big update. The bag has been known to break from wear and tear, usually from having too much weight inside the bag. This may be something to note before purchasing. Zippers often need repairs and break under strain. The golf bag from Ray Cook is definitely well designed and has a good solid construction. It has a wide range of options to choose from when looking at the storage space and the overall price is a lot lower comparing it to similar products offering the same features. The potential that the material may tear under heavy weight is a drawback, but just be sure to pack your bag with this in mind. A Great golf bag is the one that will help you keep your equipment and other golf stuff stored in a nice, convenient manner. It got to be lightweight as golfers don’t have the company of a caddie to carry your stuff. 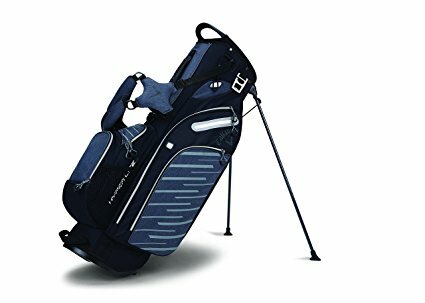 Thus an ultra lightweight golf bag with dedicated storage for different equipment, gadgets and other necessary stuff other than clubs and balls. One of the main reasons to get a golf bag is to reduce the number of things you have to carry either in a normal bag or without a bag at all. Being able to store your clubs efficiently helps to reduce the amount of time it takes to select a club which can help you with focusing on your game more. Also, having a bag will help you to keep your valuable safe whilst you are going around the course, this is a major benefit to people as they don’t have to worry about damage being caused or losing them whilst going around the course. Golf Bag Guide – Your Quest For Best Golf Bags Ends Here! With an overwhelming no. of brands & models, its gets difficult to chose. Ideal way is to list down your needs, which will help you close in to limited set of models as well as looking through the features of a bag, as you will know exactly what you need from it. It will save you money, time & effort to buy an ideal golf bag. Your play frequency, equipment & accessory you carry on the course, comfort & budget are few things to start with. Having ample storage for your equipment is great, but having more than your need, is wasteful. More space in your bag means the more weight that you will carry around the course unless you have a personal caddy. Organizing the stuff in a golf bag too is an art to learn, to make the optimum use of the storage as well as knowing one’s storage requirements. So go for optimal storage as per your needs. The number of pockets on golf bags should depend on your requirement but having an additional pocket or two is better. Many average golfers have a limited equipment and don’t want everything with them. Pockets are often used to store miscellaneous things but you find dedicated pockets as well to hold golf gadgets like rangefinder, golf balls & ties as well as golf club tools. As a golfer you want to ensure, you are prepared for all types of weathers & having an umbrella holder is definitely a plus. Being able to carry an umbrella whilst going around the course, you makes sure to keep yourself dry in the rain and shaded in hot weather conditions. Umbrella holder can also be attached to a section of the bag to keep both you & your equipment dry. Taking a look at the straps and handles on a golf bag should be an essential. If you have a thin handle material which goes over a single shoulder and has a lot of weight within it, it will dig into your shoulder and cause discomfort whilst walking around the course. Having a heavily padded quality strap will keep your shoulders comfortable. Handles provide an extra provision to carry a bag differently. Having a golf bag that can withstand the test of time is definitely an important factor. Just because a bag has a higher price point does not always mean that they will be made from better materials, as sometimes the price reflects a number of features available on them. When you purchase the best golf bag covers you need to feel content that you have made the right decision. Check for the waterproofing for that will make sure to keep all your equipment safe on rainy days. A waterproof golf bag will save your golf clubs from rusting. Golfers use electronic gadgets on the golf course as well, a waterproof golf travel bag will ensure to keep them safe in rains as well. All brands normally use waterproof material, but its a goof practice to inquire before buying. The height of a golf bag should be at an ideal size to you. A small golf bag will compromise on a number of things, such as the amount of storage space as well as exposure of your long clubs. 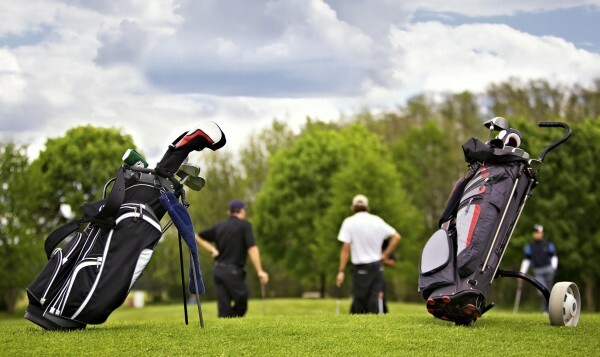 The height of a golf bag needs a thorough consideration in case of golfers who prefer custom made golf clubs to suit their playing style as well as their height. Normally golfers often give it a miss. Not only do you want to ensure that your bag is great, but it should also protect your clubs from being damaged by being hit into each other whilst you are carrying it around. You should make sure that the dividers are thick and padded so that the heads are spaced out and not clanging against each other whilst they are traveling around or being carried around the course. This is an important factor when it comes to a carry bag, due to the fact that you are going to need to carry both the weight of the bag, plus your equipment all the way around the course. Ideally, you want to go for a golf bag that is built using lightweight but durable materials. Another thing to take into consideration is the number of pockets and storage spaces, as the more features which are within the bag the more weight that will be added as standard. 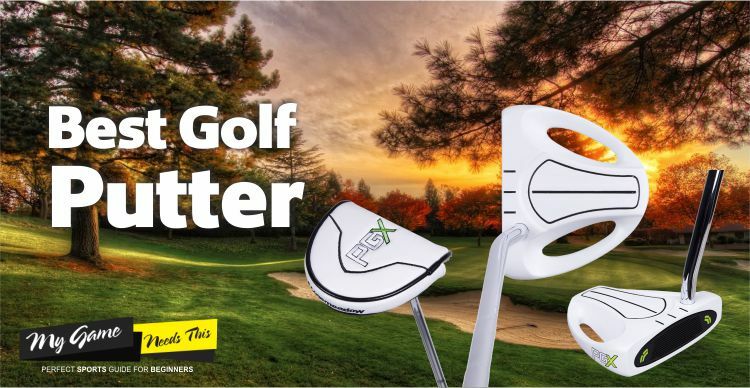 You want to be sure that you have a golf bag that meets all your requirements and having accessories which help to aid your game are important. Accessories help to make your bag much more than just a bag for carrying your golf clubs. With many having an umbrella attachment so that you are prepared for diverse weather conditions, as well as having a place to store you scorecard whilst you’re out playing. Width can be an important factor in the selection process. The reason behind this is down to the golfer, many people prefer to have their clubs lined up in a set way to make it easier for them to use. Setting up their set so that they can play down the bag without having to put a lot of attention into their selection, helping them to focus more on the game. Going for a reputable brand ensures that if anything goes wrong, you can ask for a replacement or repair to fix it for you. Not only this but if you are supplied with a good amount of time on your guarantee you know that the company has put trust in their manufacturing and will assist you through any problems you have. Selecting a golf bag requires you to understand different categories of Golf bags available in the market. Each one of the category differ in its usage, storage capacity, carrying comfort and utility. Based on your game and play level, the right golf bag chosen to carry your equipment will complement your ability to store & carrying your stuff as well as your game not only on the golf course but also your traveling with it. Golf Bag with stands is unique in design and usability. The bags have 2 legs which retract out which help to stand the bag upright or at an angle. The main purpose of a golf bag stand is to keep your equipment stood off the ground to enable easy access. It can be used by those golfers who prefer to walk as it can be made to stand up even on uneven terrains, this is thanks to the two retractable legs. Many of these bags come with shoulder straps in the same way a backpack does. This helps to distribute the weight whilst it is being carried. This might be good read to to compare a cart bag v/s golf stand bag. A cart golf bag is a lot lighter and smaller than a staff bag. 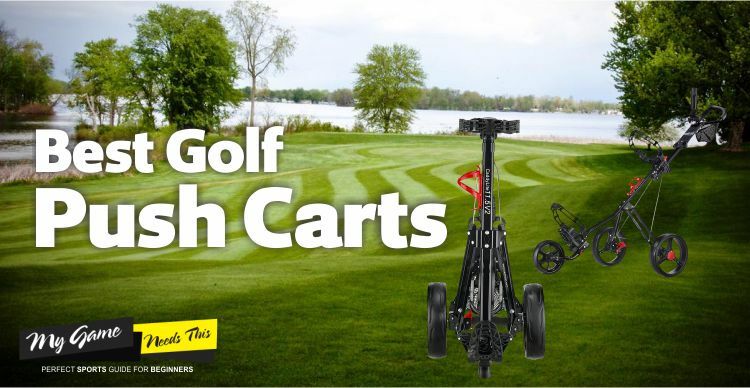 It is designed to be used in tandem with a push cart or on a golf riding cart. If you are looking for a bag that you can walk around the course with, then this is certainly not the best option available for you. The reason why they are great to use with carts is that they are designed to make it possible to access all the storage pockets whilst the bag is still strapped to the cart. The cost for these type of bags is a lot less than a staff bag, but this is due to the fact that they are designed to be used in tandem with golf carts. So if you are looking to walk around with your bag without a trolley, then this wouldn’t be ideal for you. When it comes to the top of the line bags, you can’t get much better than a staff bag. These bags are used by the professionals when on tour, the staff bags usually have the biggest brand logos on them. You can think of these type of bags like the high-end luxury bag, almost like owning a Rolls Royce. But, if you don’t have a personal caddy on every game you play, then the overall weight of these bags may cause you some fatigue. Although they may weigh a lot, they certainly make up for it with the high-quality materials and a huge amount of storage space. Golf carry bags are similar to stand bags, with the main difference being that they don’t have the retractable legs. 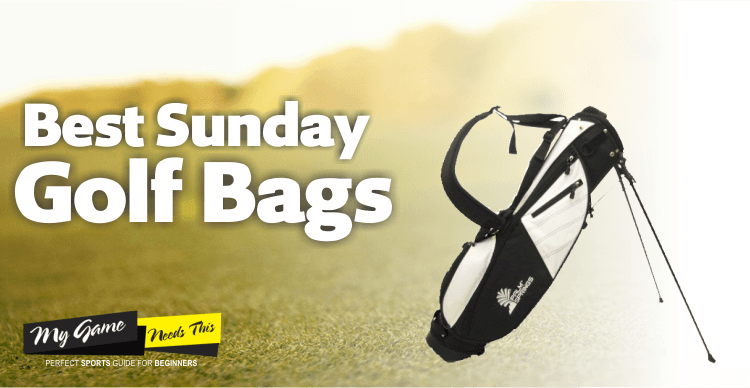 They are often referred to by many golfers as “Sunday Golf Bags”. Golf carry bags are not only the lightest golf bags which are available on the market currently, but they are also one of the cheapest available to purchase on the market right now. They weigh less due to the fact that they are made from lighter, yet more durable materials. They have a few pockets, unlike the staff and golf bags cart which have a huge number of storage space and pockets. Combing the features of a carry bag as well as a Cart bag, a golf hybrid bag is an optimal choice for golfers who like to carry the bag on the course themselves or by the caddie on normal days and also use a golf cart on odd days. A hybrid bag comes equipped with tripods to carry the bag as well as straps to easily fit them on a golf cart. A bit on a heavier side compared to golf carry bags, hybrid bags consist of ample no. of pockets for storage compared to a cart bag. A Sunday Golf bag is a lightweight golf bag used by the golfers as an alternative to heavy golf bags to be carried on the course. Sunday being a holiday historically, golfers who liked golfing on a Sunday required a lighter golf bag to carry on the course giving way to the invention a Sunday Golf Bag which almost ample storage for a limited no. of equipment required for a golfer on Sunday and is small, lightweight and easy to carry on the course. Sunday Golf bags are the lightweight golf bags used by the golfers as an alternative to heavy golf bags to be carried on the course. Sunday being a holiday historically, golfers who liked golfing on a Sunday required a lighter golf bag to carry on the course giving way to the invention a Sunday Golf Bag which almost ample storage for a limited no. of equipment required for a golfer on Sunday and is small, lightweight and easy to carry on the course. Having the best golf bag is just as important as any other equipment you purchase. You should make sure that you have all your requirements down whilst you are shopping and make sure that you remain vigilant whilst looking so that you can get the right bag for you. Knowing the different types of bag available and take into consideration the basic things & golf bag reviews which we have mentioned above. Keeping the golf equipment safe while playing is an obvious concern for Golfers. Also with an ideal golf bag that meets all your requirements you will be able to make sure that you are keeping everything with you whilst you are going round the course.